FOX has released the synopsis for the November 22 episode of Brooklyn Nine-Nine, "Mr. Santiago". Jimmy Smits (24: LEGACY) guest stars as Amy's father. At Amy's intricately planned Thanksgiving dinner, Jake goes "full Santiago" (binder and all) in order to impress her father (guest star Jimmy Smits), a former cop. 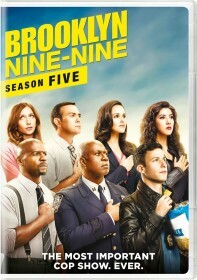 With Jake and Amy's focus elsewhere, Charles is left on turkey duty and Holt helps Pimento cope after learning he can no longer work for the NYPD in the all-new "Mr. Santiago" episode of BROOKLYN NINE-NINE airing Tuesday, Nov. 22 (8:00-8:31 PM ET/PT) on FOX.